The Representation of the People Act in 1918 extended the vote to women for the first time in the United Kingdom. In 2018 we celebrate the centenary of this milestone with some great events at the Creative Innovation Centre – all supported by The Heritage Lottery Fund. 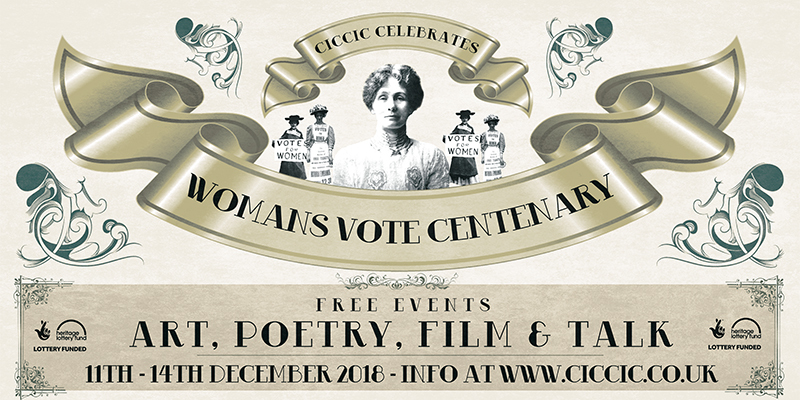 The Women’s Vote Centenary Week of Events is one of a number of ways in which this important anniversary is being marked across England. The centenary is an opportunity for all of us to celebrate 100 years since women gained the right to vote. It’s also a chance for us to think about our own role in civic life and encourage others to do the same. Why not come along to some of our FREE events that look at different aspects of suffragette movement and the woman’s vote. (Did you know that ‘Suffrage‘ means the right to vote in political elections). If you can’t then pop in then why not swing round to see our short history presentation on screen shown throughout the day. Screening of movie ‘Suffragette’ (2015), Cert 12a. Free to join in and cafe/bar will be open. Learn More. Talk – Fri 14th Dec, 7.30pm-9.30pm. 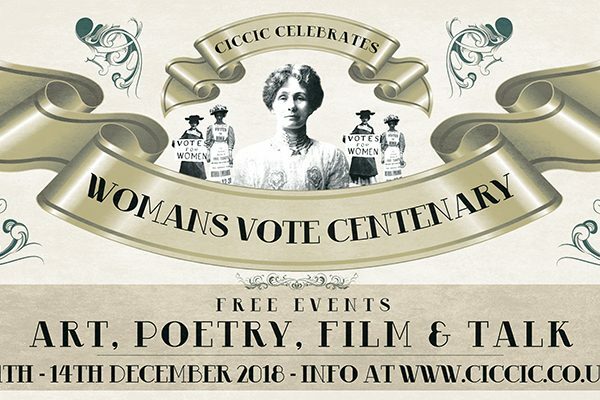 Join CICCIC and historical fiction and non-fiction author Lucienne Boyce on the careers of some women who were imprisoned in Bristol’s Horfield Jail – though like many campaigners they were active around the country and an interesting mix of women. A perfect way of telling a variety of suffrage stories. The talk will include some context/background to the militant campaign, with particular reference to events in Taunton/West Country. Talk includes Q&A. Free to join in and cafe/bar will be open. Learn More. PLEASE NOTE – Dec 14th 2018 is 100 years since women voted in a general election for the first time on 14 December 1918 with 8.5 million women eligible. 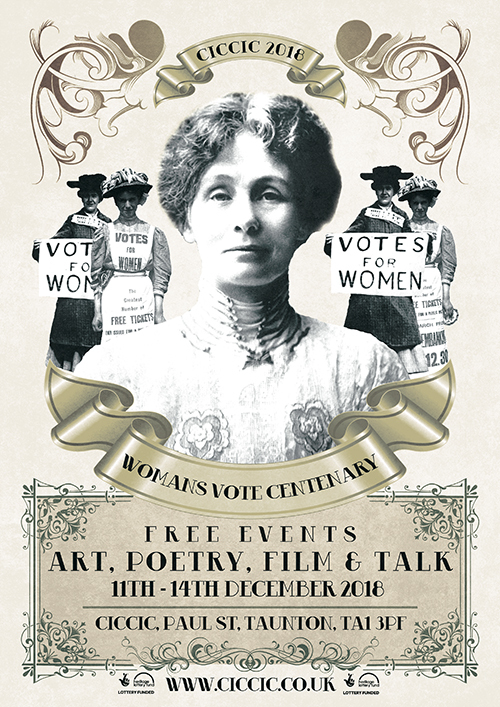 Help us share the knowledge and celebration of the Women’s Vote Centenary and enjoy art, poetry, film and talk in a safe and community focused environment.